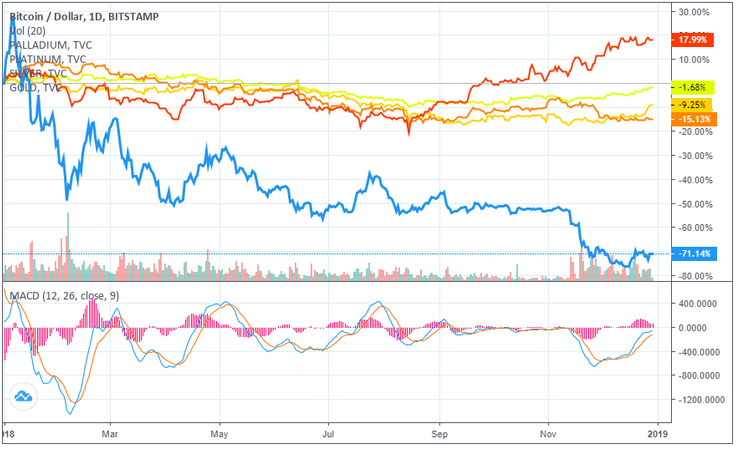 All is not bleak however as it has been pointed out that these assets are not currently at the bottom of their market cycles, while Bitcoin is. In fact, it is important to remember that this correction has been in line with previous market corrections in terms of percentages. While this assessment is not technically inaccurate, it should not let undue gloom fall upon investors. Markets always see booms and busts, and while this year was a bigger bust for crypto than gold, 2019 may be different.